The third entry in his "Teen Apocalypse Trilogy", Gregg Araki's 1997 film may be his loosest and darkly humorous effort. Following a day in the life of an alienated suburban 18 year-old (James Duval) as he contends with his unfaithful polyamorous girlfriend (Rachel True), his own homosexual longings, interactions with his drug addict friends and a wild party of bacchanalian proportions, Nowhere, true to its title, is a meandering trip through disaffected Gen X youth delivered in a laid back style familiar to anyone who came of age in the 90s. A cavalcade of notable cameos – Christina Applegate, Debi Mazar, Ryan Phillippe, Heather Graham, Scott Caan and Mena Suvari just to name a few – the film gets by on biting wit, evocative imagery, transgressive attitude and a bizarre alien abduction subplot because why not? Featuring a 90s alt rock soundtrack featuring songs by Radiohead, Hole, Marilyn Manson, The Chemical Brothers, Massive Attack and more. “Accessible" and "tender" are not adjectives commonly used when describing the work of cinematic enfant terrible Gaspar Noe, yet his 2019 offering Climax is being described in such terms despite its evocative title. But if you're concerned that the controversial French auteur has softened, think again; Climax sees Noe's predilection for drug-induced hysteria, wild camera movement, graphic sexuality and explosive violence on fully display as he chronicles the interaction of a culturally and sexually diverse dance troupe through a rehearsal and LSD-laced after party where raw, existential truths are laid bare. But what makes Climax unique in the Noe canon is the lack of all-pervasive nihilism so prevalent in his other works – here he finds a chord of hopefulness to land on (if only a momentary one), offering a glimpse of possible salvation in a maelstrom of human failings, a hint of light before plunging back into darkness. With Sofia Boutella and a cast of professional dancers. 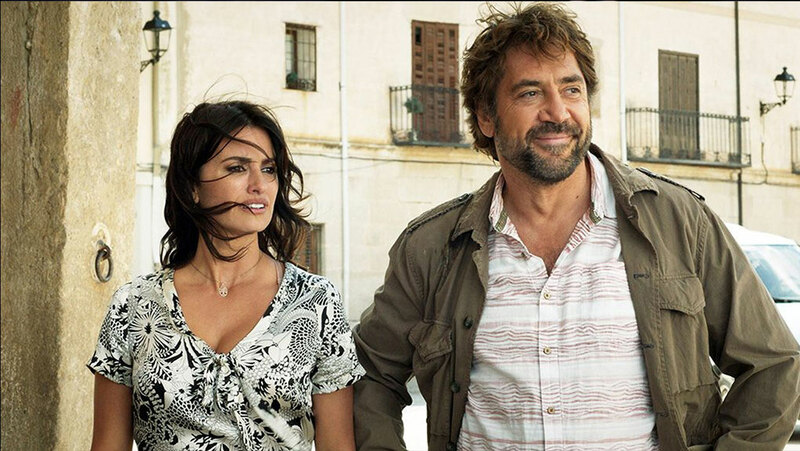 A twice winner of the Oscar for Best Foreign Language Film, Iranian filmmaker Asghar Farhadi tries his hand at the thriller genre with his latest effort Everybody Knows, proving again why he is one of the most important directors working outside of the Hollywood system. The story of a Spanish mother and expat (Penelope Cruz) who returns from Argentina to her home town to attend a wedding only to have her eldest daughter kidnapped, Farhadi's film is a meticulously crafted narrative driven by secrets and misunderstandings, a marvel of interlocking plot threads that operates with the precision of a Swiss watch. Already a master of family-centered drama (aided by the flawless performances of Cruz and heavy-hitter Javier Bardem), Farhadi's skill as both a writer and director allow him to fuse mystery and suspense effortlessly with weighty character study, elevating the thriller genre while delivering on the necessary tension and thrills. With Ricardo Darin and Barbara Lennie. Renewed cultural interest in space travel has birthed a revival in exploring the space race in cinema, and with the 1969 moon landing recently covered dramatically in Damian Chazelle’s First Man, Todd Douglas Miller’s awe-inspiring new documentary Apollo 11 presents the historical event with intimacy and factual depth. Armed with newly discovered 16mm footage and uncatalogued audio recordings, Miller approaches the events leading up to the game-changing mission with the ticking-clock suspense of a top-shelf procedural; it’s a nail-biting chronicle of human ingenuity and perseverance that rises to moments of jaw-dropping spectacle – the newly restored images are as impressive as any seen in today’s modern blockbusters – and crafts a detailed portrait of the tireless scientists, engineers and astronauts who pulled off this miracle of modern achievement. A must-see for space race enthusiasts and anyone in need of a reminder of mankind at its best.